Just when you think the pandemonium is starting to die down on Shirtless Kylo Ren, it starts back up again! 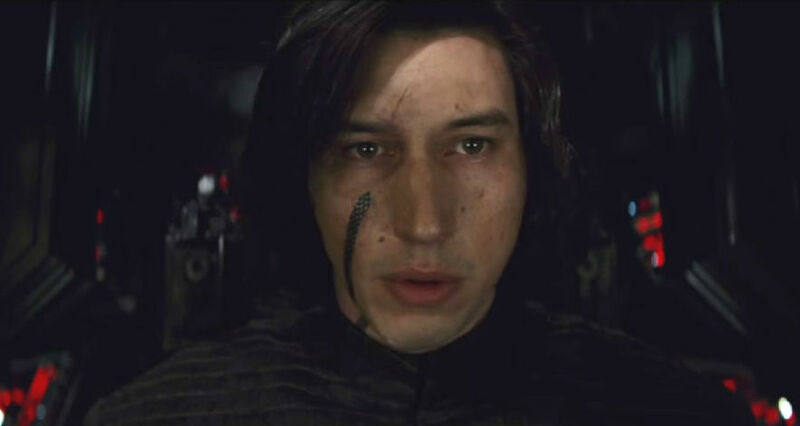 Since the scene in the Last Jedi where Kylo Ren appears shirtless to Rey, via Force Skype, it really has been the gift that keeps on giving. You can’t hide from it, you can’t ignore it, and now you can’t stop seeing it in your Instagram feeds: A Kylo Ren challenge now exists, and it’s exactly what it sounds like. Do you, too, want to figure out if you look cool wearing stupid-tall pants? Then this is the challenge for you. Over the last 24 hours, dudes (and a few ladies) have taken to the social media site to post their own picture to the Kylo Ren challenge. All you’ve got to do is put on really high pants (or maybe wrap a black bandage around your stomach), hold a lightsaber in one hand, and then think lots of conflicting thoughts about the light and dark side — maybe make a spur of the moment phone call or two to your crush? That’s up to you, but regardless, voila, you’re now part of the Kylo Ren challenge. The challenge really started to catch on after John Mayer posted his own picture to Instagram wearing high-waisted pants. The fact that John Mayer participated in the Kylo Ren challenge should surprise no one. John Mayer might have actually *started* the Kylo Ren Challenge, and that is currently up for debate. Regardless of who started it, it’s quite a sight to behold.